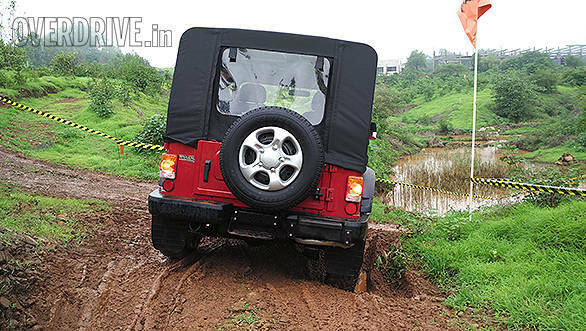 The Mahindra Thar was an immensely capable off-roader when it debuted. So much so that it is still among the best off-roaders on sale today. But in its single-minded focus to plough through every obstacle in its way, the Thar never really cared for sissy details like comfort or convenience. It seemed like the cabin came straight out of the 1950s and that was something you just had to live with. But in the past three years, the Thar CRDe garnered quite the following with city dwellers looking to reclaim their wild side. But as these things often go, many Thars spent most of their time on a slow cruise down Marine Drive, which is sad considering how much the Thar supposedly hates tar (Mahindra's words, not mine). 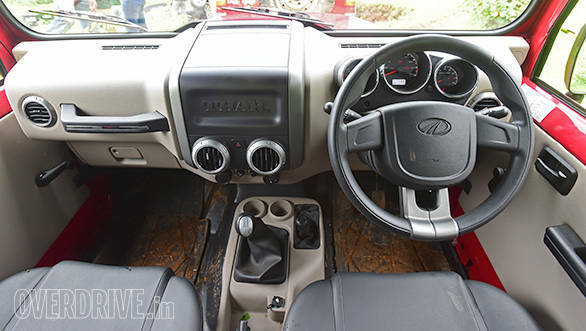 Naturally, Mahindra realised that to make their vehicle more appealing to the city dweller they had to make the cabin a more hospitable environment. And that's where the most work has gone into for this refresh. And I have to say, they've done a really commendable job. The new cabin is almost unrecognisable with its smart beige and black layout. Sure, it's still quite spartan, with most of the buttons dedicated to the aircon, but it looks smart now, especially with the new three-pod instrument cluster and the chunky steering wheel lifted off the new Bolero. The passenger grab bar that sits above the new lockable glove box is strong but has a nice soft feel material. There's now a 12V socket and even cup holders. In terms of sheer comfort, the Thar has taken several leaps. I used to joke that everytime I sat in a Thar, I would end up injuring myself, but here I am after a short drive, injury free! Of course it wouldn't be a Thar without some quirks and the repositioned handbrake (when engaged) fouls with the gear lever if second or fourth is selected. Still, I wish that Mahindra had also changed the door handles and locks which still feel fiddly and cheap and were prone to break in the old Thar. Sitting in the new seats that are still flat but a little more comfy, I noticed that the refinement seems to be improved. The engine sounds and feels smoother with little vibration in the gear lever. Perhaps the new dashboard is absorbing some harshness but despite no performance increments, the 106PS/247Nm engine does feel improved. 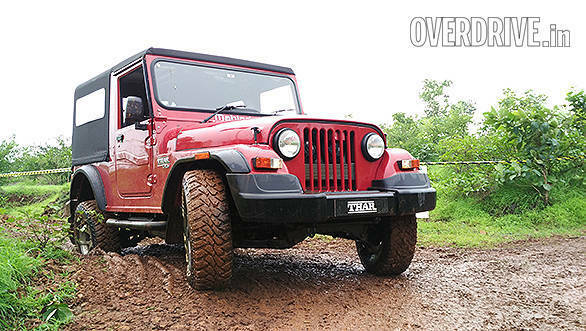 We had a brief test drive on Mahindra's excellent off-road academy course and despite preferring my roads tarred and smooth, I had a proper blast. The Thar never lost its breath despite some steep inclines and deep water crossings. Stick the gearbox in 4Low and just make steering and brake inputs while the vehicle does the rest. There's massive traction, no doubt aided by the new differential lock that sends power to the wheel with more grip. The mechanical diff lock works automatically when it senses a wheel speed difference between left and right of more than 100rpm at which point it begins to lock and equalise the wheel speed on either side. 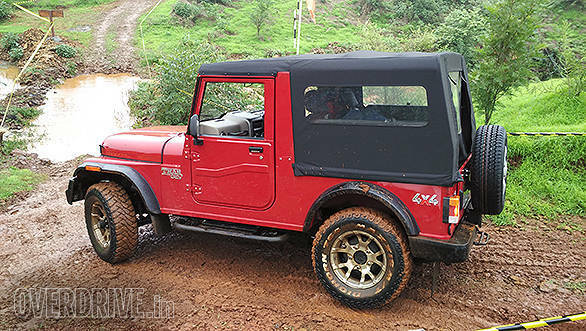 Whether it was steep muddy inclines or bonnet deep water crossings, the new Mahindra Thar sailed through, begging for more of a challenge. As far as off road fun in a stock vehicle goes, it doesn't get much better than this. While it's even more capable now it looks better too with those new rugged plastic bumpers that merge into the fenders and fresh clear lens headlamps. Mahindra says they've redesigned the removable roof as well but it is almost identical to the old one. A more functional change is that the metal wheel arches have been hollowed out to better accommodate the optional 16-inch 245-section Maxxis Bighorn tyres you see in these pictures and the extensions are new too. 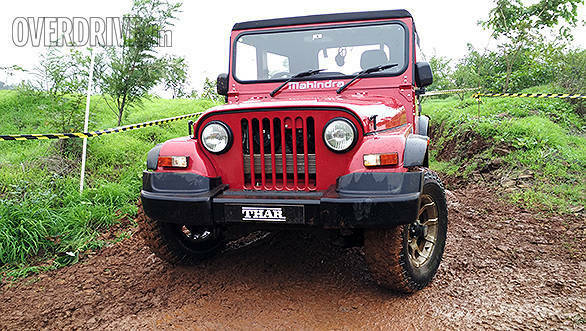 The Thar ships with 16-inch 235 section Bridgestone Dueler H/T tyres as stock. All of this comes for Rs 8.03 lakh ex-Mumbai which is just Rs 7,000 more than the outgoing car. It's not exactly cheap but the Thar now offers even higher off-road thrills with a much better cabin. And that is undoubtedly going to attract more customers.